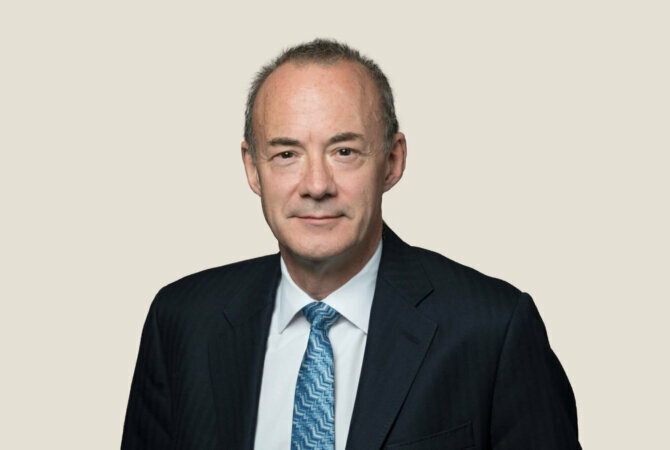 Peter Nias is a practising tax specialist Barrister at Pump Court Tax Chambers and former partner at the law firm of McDermott Will & Emery UK LLP. Since obtaining CEDR Accreditation in 2010 Peter has been focusing his time advising clients on mediation and pre-mediation strategies for resolving tax disputes and has acted as both a mediator and facilitator in tax disputes in the UK. He collaborated with CEDR to create the Tax Dispute Resolution Hub and is a member of its Tax Panel of mediators. He was one of the founding members of CEDR Tax Dispute Resolution Panel established in 2012. Peter is the UK Reporter for Subject No 1 “Dispute Resolution Procedures in International Tax Matters” at the International Fiscal Association 2016 Congress in Madrid and is the UK Reporter for the 2018 International Tax law Conference on Tax Treaty Arbitration organised by the Vienna Institute for Arbitration and International Tax law. Co-founder of the London office of McDermott Will & Emery Peter was the head of the Tax Practice and its Tax Dispute Resolution Group for many years. He focused on direct and indirect tax advice on a broad range of corporate and commercial business activities for UK and multinational organisations, including cross-border structuring and regularly advised on transfer pricing and thin capitalisation issues as well as tax risk management and dispute resolution techniques including negotiating rulings, clearances and settlements with the UK tax authorities (HMRC) and tax litigation. Since joining Pump Court Tax Chambers Peter has worked with HMRC’s Dispute Resolution Unit in developing a collaborative dispute resolution (CDR) programme for complementing their Litigation and Settlement Strategy. Through membership of a number of professional technical committees (the Law Society’s Tax Law Committee and Chartered Institute of Taxation) he has been in regular contact with senior HMRC officials in respect of the consultation process involving new legislation. He was the founding member in 2011 of the ADR Discussion Forum for those involved in ADR matters at HMRC, HM Treasury, HM Solicitor’s Office and professional advisory firms. Peter is a frequent speaker at tax conferences on tax disputes and collaborative dispute resolution techniques and regularly contributes articles on these subjects to technical journals. He has regularly been listed in the top rankings of a number of Directories including Chambers & Partners, Legal 500 and International Tax Review (on whose Editorial Board he sits). Peter has over 35 years experience negotiating domestic and cross-border tax settlements on behalf of his clients. His approach is always to be collaborative, calm, friendly but firm, winning the trust and confidence of both clients and Revenue officials to facilitate a settlement or a narrowing of the issues in dispute. International tax: advising a Swiss resident multinational group on the use of ADR techniques to assist the resolution of a cross-border transfer pricing dispute between two European countries under their MAP (Mutual Agreement Procedure) provisions in their Double Tax Treaty. Tax: advising a US multinational group on the use of ADR procedures and the facilitated structured discussion process for resolving transfer pricing and a number of other issues relevant to audit years in dispute and other open years. Tax: appointed as mediator to provide non-binding expert determination in a transfer pricing case involving a difference of opinion between the taxpayer’s two advisors about the application of the law to the circumstances of the case. Tax: appointed mediator by HMRC and the taxpayer in a 5 year old dispute about the denial by HMRC of its claim for input VAT on the grounds that the claimant knew or had the means of knowledge that the carbon-trading transaction was connected with the missing trader intra-Community (MTIC) fraud. Tax: appointed mediator by HMRC and the taxpayer in a 10 year old multifaceted dispute including directors’ loan accounts, capital allowances, Gift Aid, overseas settlement issues. Tax: Appointed mediator by HMRC and the taxpayer in a 9 year old dispute in respect of the application of anti-avoidance legislation and a partnership structure involving issues of IP identification and valuation. Tax: appointed mediator (by HMRC and the taxpayer) co-mediator (by the taxpayer) and facilitator (by the taxpayer) in 3 different disputes in respect of the UK tax residence status of the taxpayer. Tax: Acting as a Facilitator and successfully settling through HMRC’s ADR Large and Complex pilot study programme its cross border IP tax audit dispute for a multinational publishing organisation. Tax: Acting as a Facilitator for a high net worth individual in an ADR facilitation process with HMRC and successfully settling the taxpayer’s claim for the motive defence to apply in connection with a “transfer of assets abroad” tax avoidance dispute. Commercial: Acting as co-Mediator (under CEDR Solve Procedure) in a shareholder’s dispute between business partners alleging unfair treatment under Companies Act provisions including breach of fiduciary duty, allegation of misappropriation of funds, unauthorised drawings and setting up competing business; litigation had already commenced. Advising a number of multinationals on CDR strategies and the use of mediation for resolving tax disputes. Advising the first S&P 500 company on its redomiciliation to the UK and negotiating Rulings from HMRC in respect of stamp duty and CFC issues. Successive renewals of the first APA under the UK transfer pricing regime (introduced in 1999) for major US based pharmaceutical company. Advising the world’s largest developer and distributor of electronic games on its UK transfer pricing strategy and its related tax authority audit. Negotiating a number of Advance Thin Capitalisation Agreements (ATCAs) in respect of inter group financing. Advising on the European restructuring of a US based heavy machinery group to achieve thin capitalisation targets and US repatriation objectives. Negotiating with HMRC a number of Rulings and Non-Statutory Clearances for non-UK based multinationals in respect of their actual or proposed UK business activities including permanent establishment structures and commissionaire arrangements. Member and former Chairman of the International Tax Sub-Committees of the Law Society’s Tax Law Committee and the Chartered Institute of Taxation. Member of IFA (International Fiscal Association). CEDR Tax Dispute Resolution Hub Management Board Member. Named by International Tax Review in their Directory of the “World’s Leading Transfer Pricing Advisers”. Tax Journal, November 2014 – Mediation: All in a day’s work?